There are around 160 metro systems in the world. The first metro system, the London Underground, was opened in 1863. 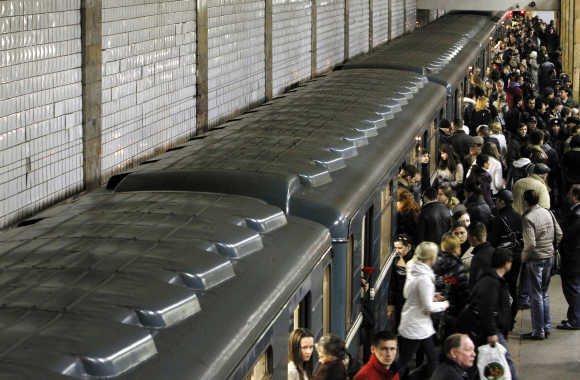 Let's take a look at 30 busiest subways in the world. 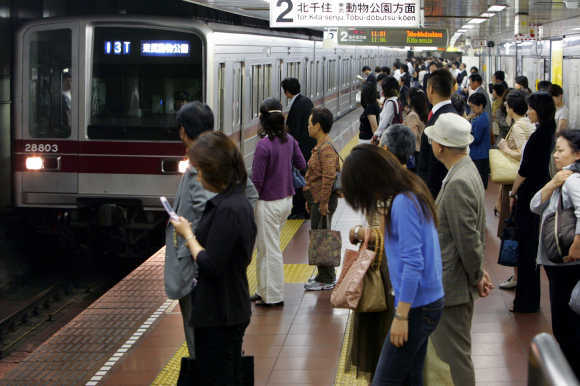 Image: Passengers wait for a train on a platform at Tokyo Metro's Hibiya station. Image: A view of Park Kultury metro station in Moscow. Image: A view of a Seoul subway station. 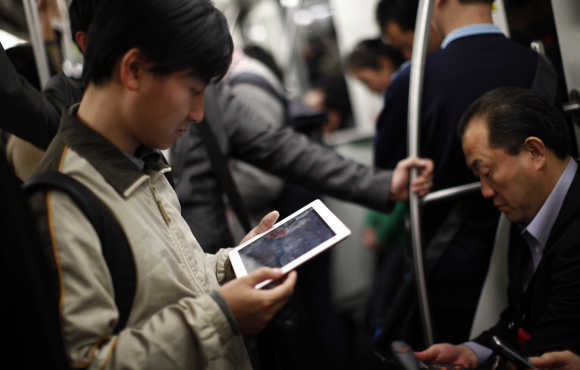 Image: A man holds an Apple iPad as he travels on the subway in downtown Shanghai. 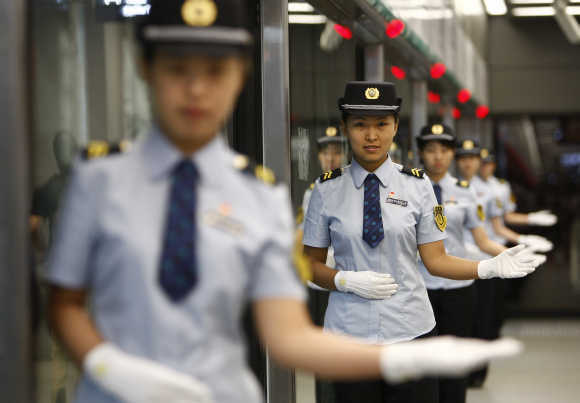 Image: Beijing subway controllers inside a station. Image: A woman wheels luggage along the subway platform at the 34th Street Penn Station stop in New York. 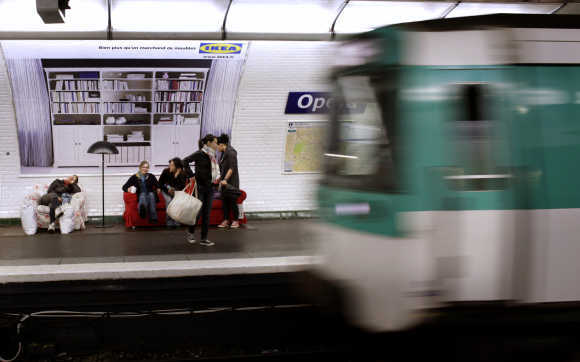 Image: A view of a metro station in Paris. Image: Dancers perform at Mexico City subway station. 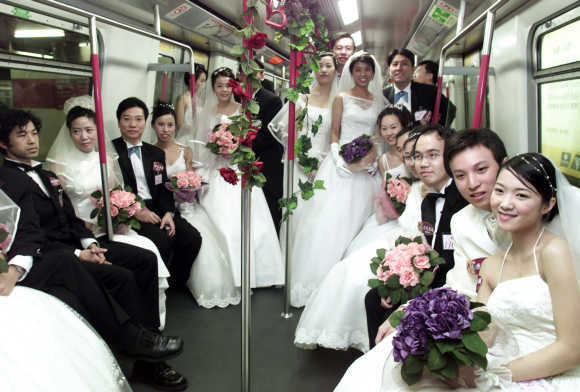 Image: Couples pose for photographers in a subway train during a mass wedding in Hong Kong. 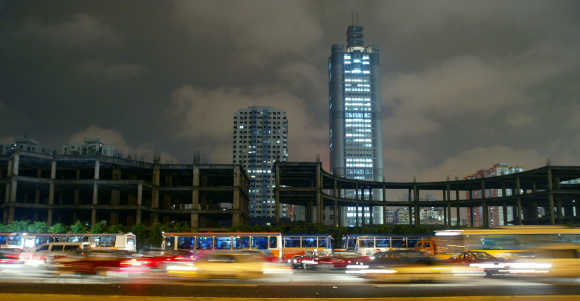 Image: Vehicles travel in the main street during night time in Guangzhou. 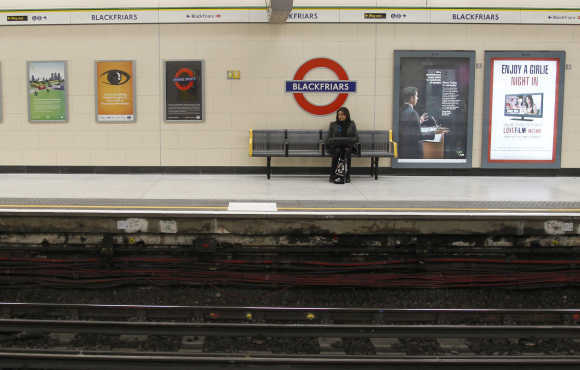 Image: A passenger waits at Blackfriars London Underground station in London. 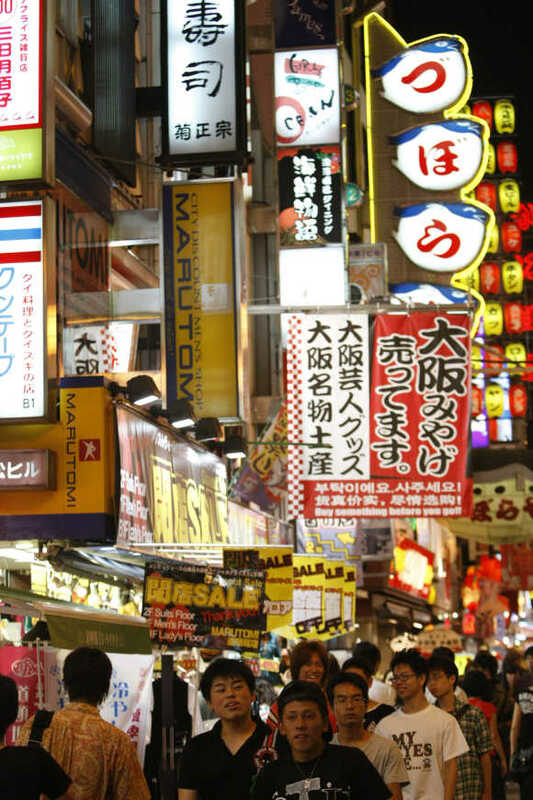 Image: Passers-by walk under advertisements in the Dotonbori shopping and amusement district in Osaka. Image: People enjoy a warm day on the banks of the Neva River in central St Petersburg. 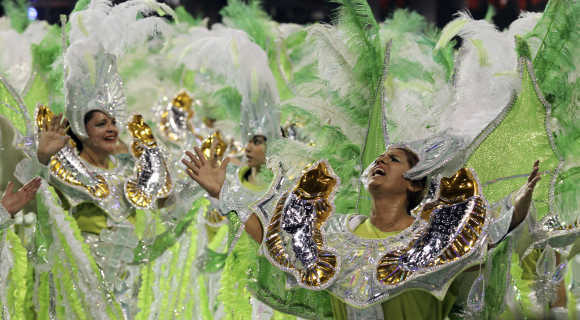 Image: Revellers parade in Sao Paulo. 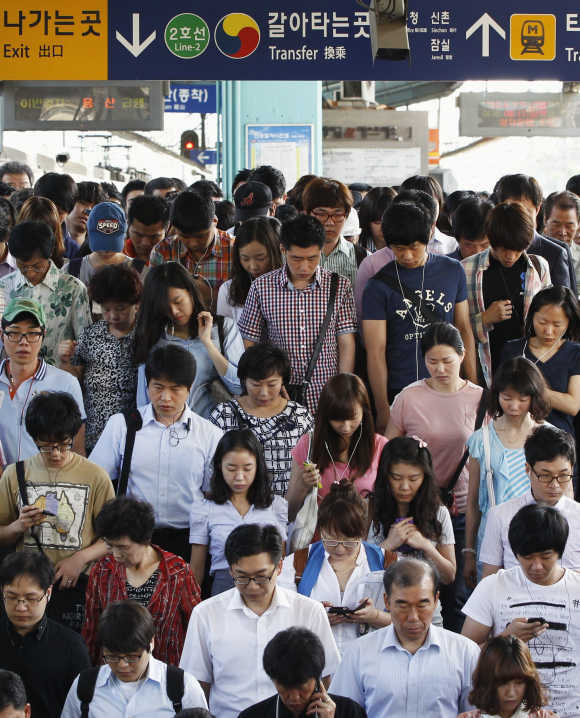 Image: Commuters wait to board an MRT train at a station in Singapore. 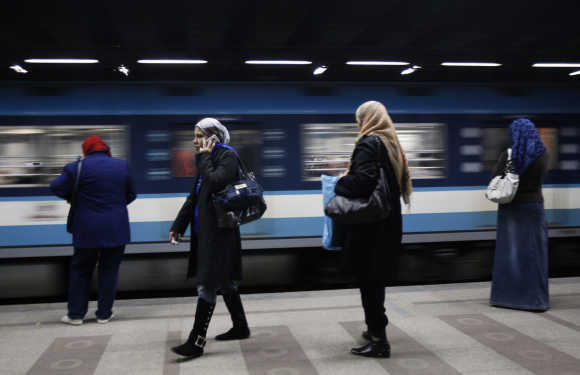 Image: A woman speaks on the phone at a metro station in Cairo. 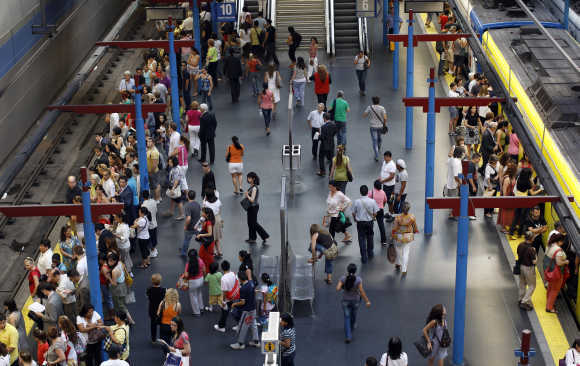 Image: People wait to get on subway trains in Madrid. 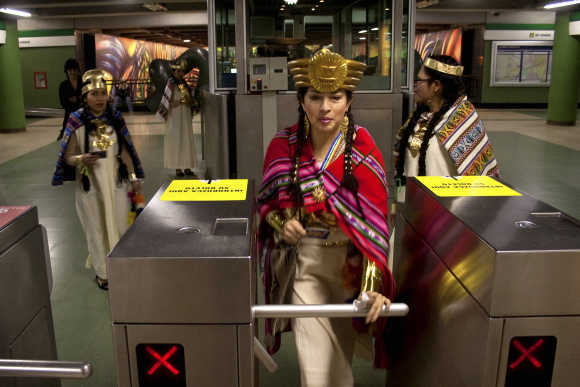 Image: A dancer from a Peruvian folkloric group passes through a turnstile at a subway station in Santiago. 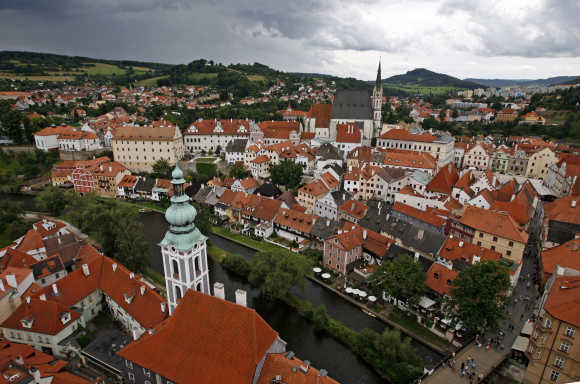 Image: A view of the Castle tower shows the Unesco protected medieval city of Cesky Krumlov, 160km south from Prague. 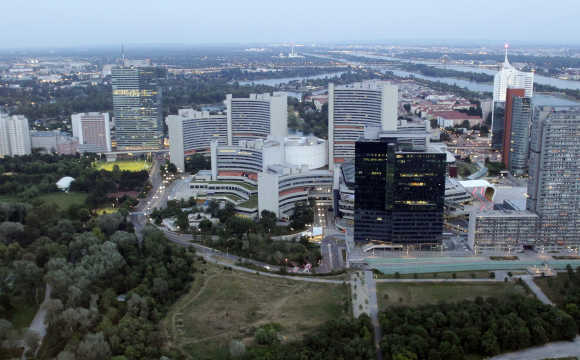 Image: A view of Vienna International Center and UN headquarters in Vienna. 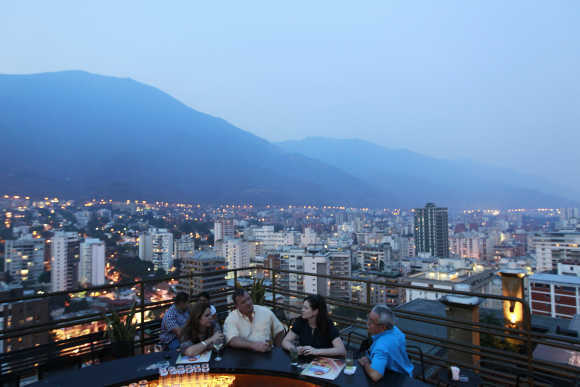 Image: People have a drink at 360, a three-tiered rooftop bar, in Caracas. 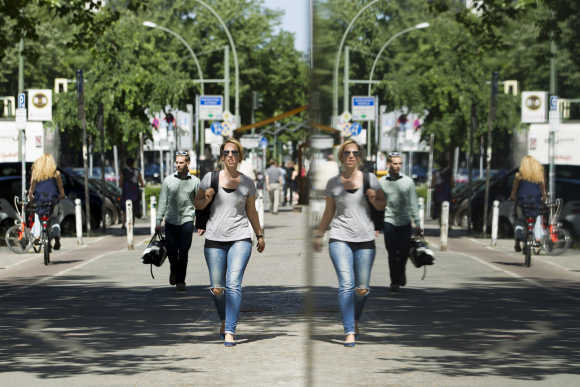 Image: People are reflected in a shop window as they walk in Potsdamer Street in Berlin. 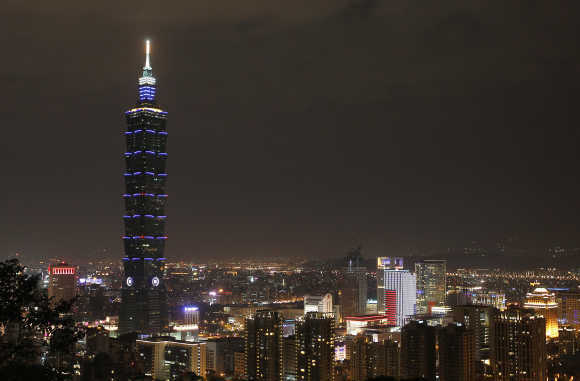 Image: The Taipei 101 building is seen before Earth Hour in Taipei. 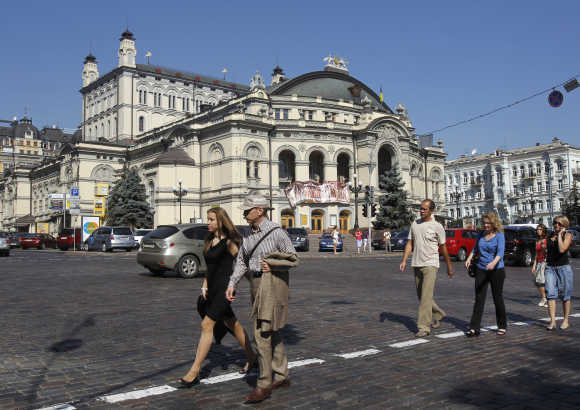 Image: People walk in front Kiev's Opera in downtown Kiev. Image: A woman speaks on her mobile phone at the midway point of a slope at Shemshak ski resort. 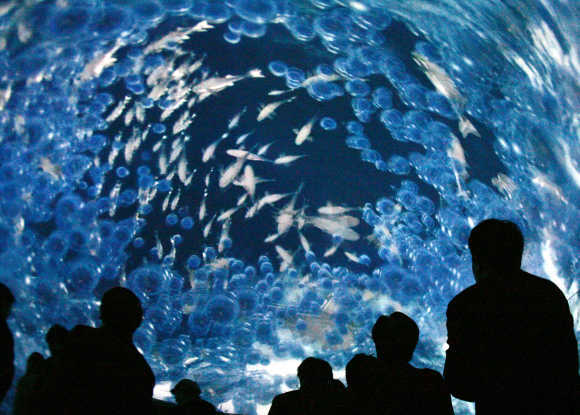 Image: Visitors look at the Earth Room, the world's first 360-degree all-sky image system, in Nagoya. 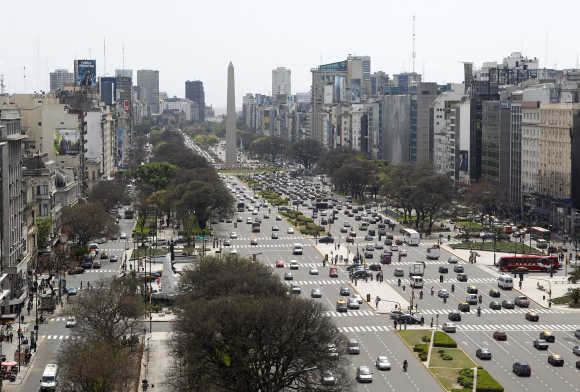 Image: Overview of Buenos Aires 9 de Julio Avenue. 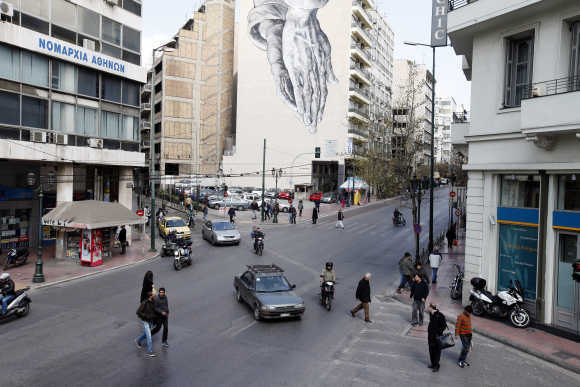 Image: A mural of praying hands is displayed on the side of a hotel in central Athens. 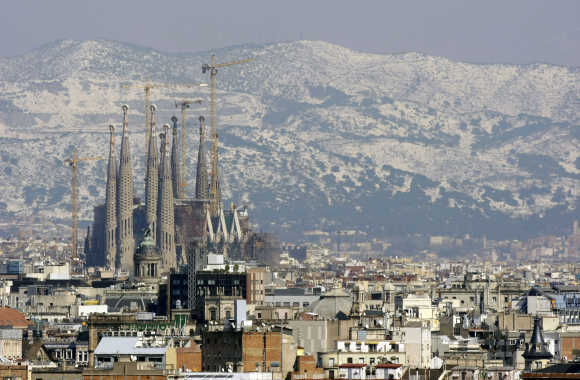 Image: A view of Gaudi's Sagrada Familia and Barcelona's skyline. 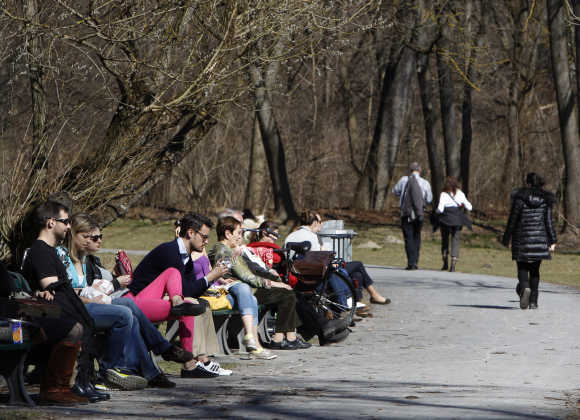 Image: People relax in sun in Munich's English garden.